You record thousands of life’s special moments in the form of digital photos, without worrying about the numbers or the space these photos occupy. Data Storage Technology paves the way to organize and save the digital photos however, it does not rescue us from the situations wherein we lose photos due to corruption or damage. Here comes the role of photo repair software that has the ability to repair the corrupt photos stored in the external hard drive, USB, memory card or other storage media. These tools can repair damaged photos having corrupt headers, distortion, blurriness, or pixel issues. You will find several JPEG and JPG photo repair tools available in the market with all claiming to offer 100% repair. To ease your decision-making process, here we have assessed 5 popular tools that repair and restore corrupt JPEG files in different situations. 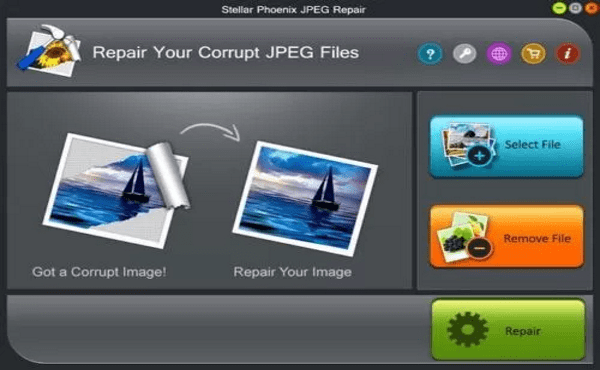 Available for both Windows and Mac users, Stellar Phoenix JPEG Repair 5.0 offers a complete solution to repair corrupt or unreadable JPG or JPEG photos stored in hard disk, memory card or any other storage media. It is a do-it-yourself tool with a simple user interface. What makes it distinct from plethora of JPEG file repair tools available online is the thumbnail extraction feature and the Preview option for repaired images before saving them. The software is programmed to extract thumbnails of severely corrupt file. Thumbnails although are not of same resolution as that of original image, but are at least better than completely losing your valuable photos. Stellar JPEG repair even manages to restore corrupt JPEG file header, which many of its counterparts fail to do. In the trial version of the software, you can see the Preview of the repaired photo, which is a good deciding factor before buying. Unlike Other softwares, it does not hide the image in the demo version. But in order to save the repaired files you will have to buy the software. One limitation is that it does not support any other file format apart from JPEG and JPG, unlike other repair tools. Having a competitive pricing at $39, Stellar Phoenix JPEG Repair can be your best JPEG repair solution among the several options available. PixRecovery 3.0 is an easy-to-use repair tool that fixes all types of damaged and broken photos. The tool repairs corrupt JPEG, BMP, GIF, TIFF, PNG, and as well as RAW images. 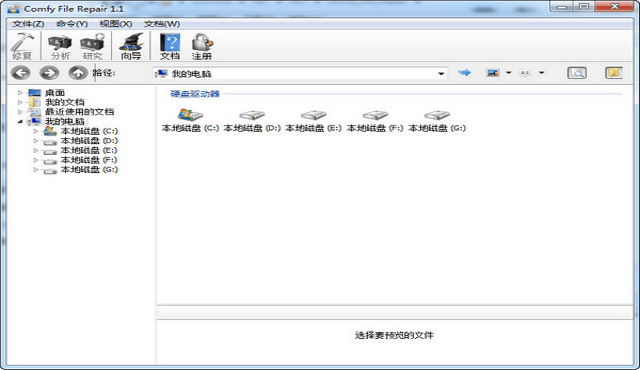 It gives the option to save the repaired files in different or in the original format. The tool repairs images with original dimension and color. It has an impressive ‘recoverability assessment’ value feature to evaluate the possibility of successful repair of the corrupt image. The drawback of the software is its limited specific file type support. Like it can repair only standard BMP, JPEG, PNG, GIF87a and GIF89a. It cannot repair progressive JPEG files. Still with its file support limitation, the PixRecovery photo repair is worth a try due to its performance. If you are interested in a free tool to correct your JPEG photos corruptions, File Repair 2.1 can be given a chance. The program can fix images of JPG, JPEG, GIF, TIFF, BMP, and PNG file formats. All the more, the tool claims to repair all kind of other corrupt file types, such as MS office documents, PDF, spreadsheets, audios, and videos. It is simple to use. Just select the corrupt image and click on repair. But the tool does not guarantee a complete repair and often there are complaints of it not working at all. Comfy File Repair supports repair of JPEG, PNG and TIFF files damaged due to sudden power cut, virus, or drive failure. 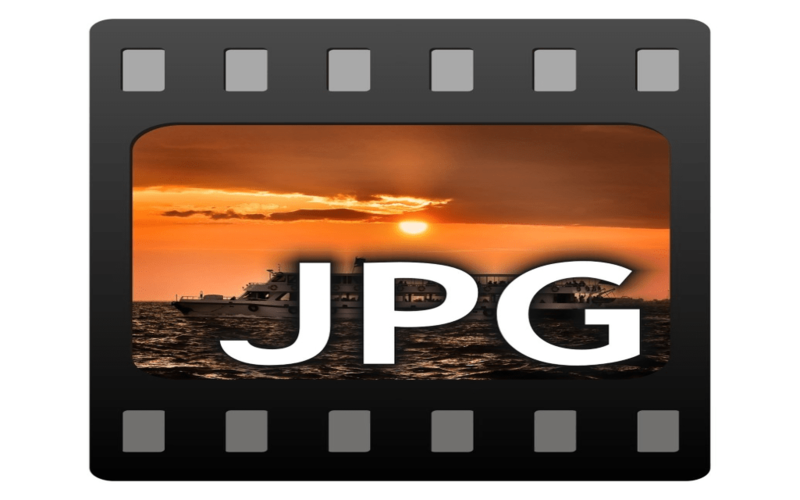 JPEG files supported include JPG, JPE and JFIF while TIFF files supported include TIF, FAX, G3, and G4. Comfy Repair File repairs TIFF files in both Windows and Mac. The tool offers two repair modes – one using the wizard and the other without it. The wizard allows quick selection, fixing, and saving of multiple files at your specified destination while a manual restore first previews each image file before saving it at a desired location. The good part is Comfy Repair File preserves the original photo quality as it does not recompresses the file. The drawback is the user interface which is bit cumbersome compared to other photo repair tools. 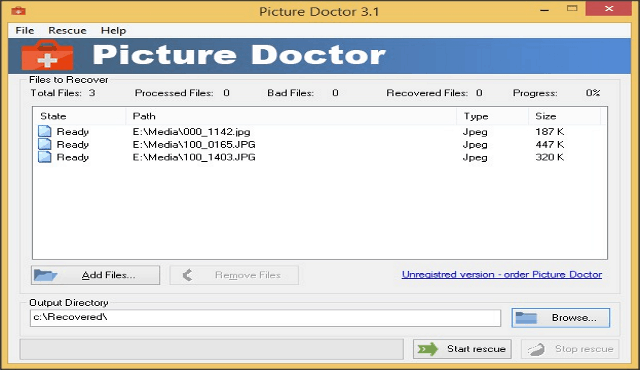 Picture Doctor is not only a JPEG repair tool but also repairs PSD files. So if you are a PhotoShop user who wants to repair his or her PSD files along with JPEG, Picture Doctor is the tool for you. 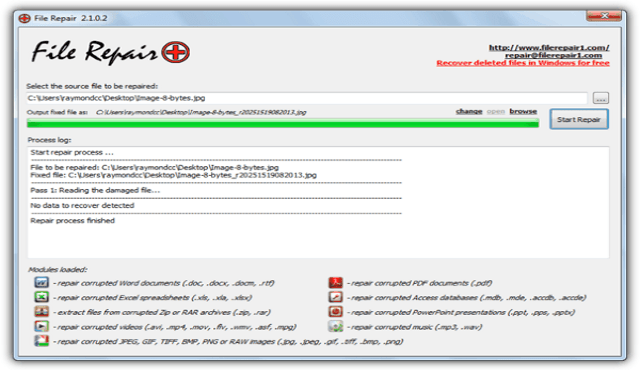 This tool has simple GUI to repair corrupt photos from all storage media. It can also repair files from damaged or corrupt hard drive, SD cards or USB drives. Picture Doctor saves the repaired files in BMP format, which you can later change to other file format. Like Comfy File Repair, Picture Doctor recovers images with original dimensions and palette. The software has good chances of success in terms of repair of various types of corruptions in photos. Although the software is a good solution to issues like JPEG repair header corruptions, it is difficult to judge the repair in its demo version. A big watermark hides a large part of the image due to which you cannot find whether the repair has been made or not. Also at $99.50, it is an expensive pick compared to many other photo repair solutions available in the market. The above 5 well-known tools to restore JPEG files can help you to get back your valuable photos lost due to corruption. Remember; always make your decision of photo repair tool based on the performance, easy user interface, safety from virus, and of course the one which fits your budget. For instance, if you do not mind spending more, Picture Doctor is a good pick, but if the similar and better performance is available at competitive price it is wise to go for Stellar Phoenix JPEG Repair. To better evaluate the success of any JPEG repair software, always download its trial version before buying. If you have used any of these JPEG repair tool, how was your experience? Do share with us in the comment box below. Sumona is a technical blogger with experience in writing data recovery tips and tutorials. She has over 6-year experience in data recovery/repair technology. She is passionate about Photography and Exploring lesser-known destinations.